Germany declares war on France and invades Belgium. Britain then declares war on Germany and Austria. Japanese Prime Minister Count Okuma Shigenobu issues an ultimatum to Kaiser Wilhelm in Berlin. He demands German naval vessels at Kiaochow (Tsingtao) either leave or surrender and that Germany allow destruction of their fortifications there. He further demands Germany’s colonial possessions in China and their islands in the Pacific be turned over to Japan. The Germans do not respond. On 23 August, Japan formally declares war on the German Empire. Thereafter, the IJN occupies the former German colonies (purchased from Spain by Germany) in the Carolines, Palau, Marianas and the Marshall Islands. After a siege of over two months, the outnumbered German garrison at Tsingtao surrenders the colony and its harbor to the Japanese who, in accordance with the Anglo-Japanese Alliance, occupy the surrounding Shantung province. Japan wants Tsingtao because it gives them a base from which they can dominate the Yellow Sea sea lanes serving Manchuria and northeastern China. The IJN sends armored cruiser IWATE, flagship of the Second Fleet's 2nd Battle Squadron, to Tsingtao. China enters World War I on the side of the Allied Triple Entente with the condition that all German Shantung will be returned to China. After the defeat of Germany, Japan is given a mandate over the ex-German colonies in the Pacific with the exception of Tsingtao, although they regain their leasehold there. 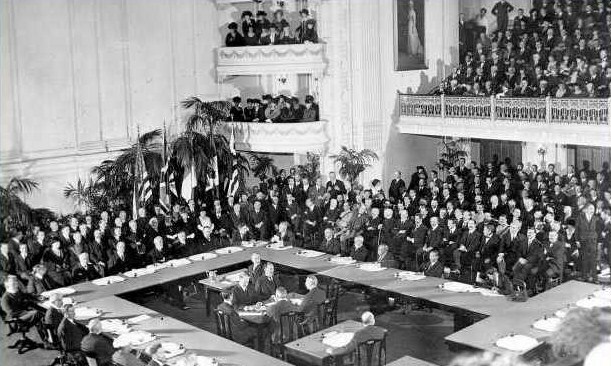 Despite China's agreement with the Allied Triple Entente, the Treaty of Versailles transfers German concessions in Shandong to Japan rather than returning sovereign authority to China. Under the terms of the Shantung Treaty, Tsingtao reverts to Chinese rule, but the Japanese retain control of the Shantung Railway. In 1929, Tsingtao becomes a municipality of the Republic of China Government. Six S-class boats of the United States Asiatic Fleet's (USAF) SubDiv 17 and tender USS CANOPUS (AS-9) arrive at Manila (Cavite), Philippines. The submarines and their tender normally winter at Manila (Cavite and spend the summer operating mainly from Tsingtao and Chefoo. They also call at Shanghai, Amoy and Chinwangtao on the China coast. Hun River, Lukuokiao, China. Imperial Japanese Army (IJA) troops on night maneuvers at the Marco Polo Bridge fire blank cartridges. Chinese troops across the river think they are under attack. They fire live rounds back, but do not cause injuries. At morning roll call, the Japanese discover a soldier missing and assume the Chinese have captured him. The Japanese demand entry to the Beijing suburb of Wanping to look for the soldier, but the Chinese refuse. The Japanese then shell the city. An undeclared war on China begins. Tsingtao. The evacuation and safeguarding of Japanese women and children begins even before the Imperial Japanese Government authorizes the North China offensive. 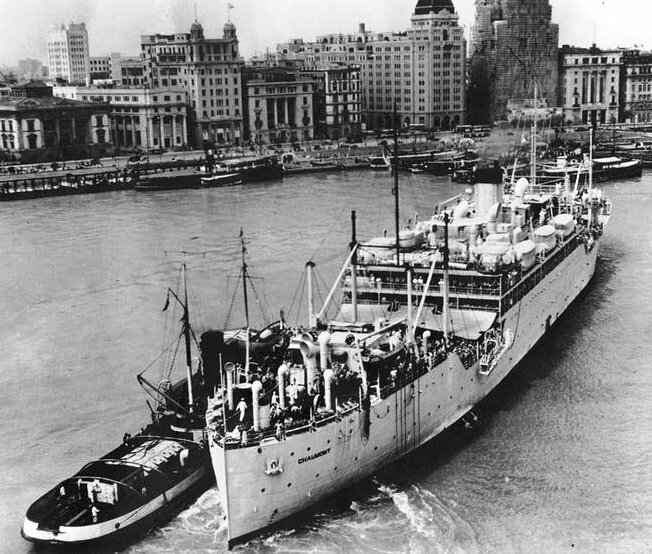 The last Japanese merchant ship departs Tsingtao escorted by submarine tender JINGEI. Flagship USS AUGUSTA (CA-31) departs Tsingtao for Shanghai carrying the CINC, U.S. Asiatic Fleet, Admiral Harry E. Yarnell (USNA 1899)(former CO of SARATOGA, CV-3. Japanese diplomatic personnel who evacuated Nanking (Nanjing) arrive at Tsingtao by train. The last 320 persons are evacuated from Tsingtao to Lushan (Port Arthur) on old light cruiser/kaibokan IZUMO. IJN SubDiv 13, based at Tsingtao with submarines I-21 (later I-121) and I-22 (later I-122), joins the naval blockade of the southern Chinese coast. 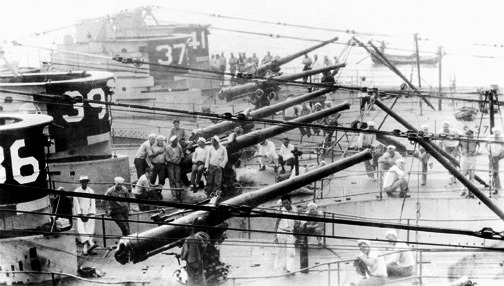 The Asiatic Fleet's USS POPE (DD-225) evacuates some Americans from Tsingtao to Shanghai. The Japanese advance very rapidly because the Chinese, without artillery or antiaircraft guns, are unable to mount an effective resistance. 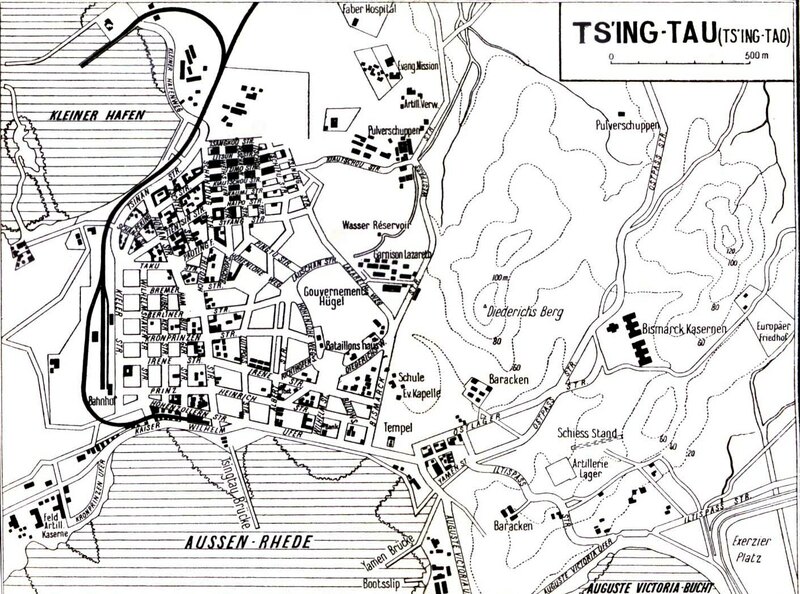 Shantung Province's northwestern border is overrun by the IJA and its vanguard is only 40 miles from Tsinan. Tsingtao's streets are barricaded with barrels of sand and water. Later in the week, transport USS CHAUMONT (AP-5)(later USS SAMARITAN (AH-10) is scheduled to arrive en route to Japan. The United States Asiatic Fleet's submarine tender USS CANOPUS (AS-9) is scheduled to arrive and pick up more Americans for Manila next week. USS MARBLEHEAD's (CL-12), temporarily assigned to the United States Asiatic Fleet, Executive Officer claims there are still over four hundred Americans in Tsingtao at the time. USS CANOPUS and USS CHAUMONT (off Shanghai). IJN transport (later destroyer tender) SHINSHO MARU arrives at Nagashima Strait, near Nagoya. She lands the No. 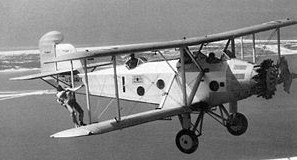 1 Yokosuka Special Naval Landing Force (SNLF) on practice maneuvers for the planned invasion of Tsingtao (Qingdao), China. 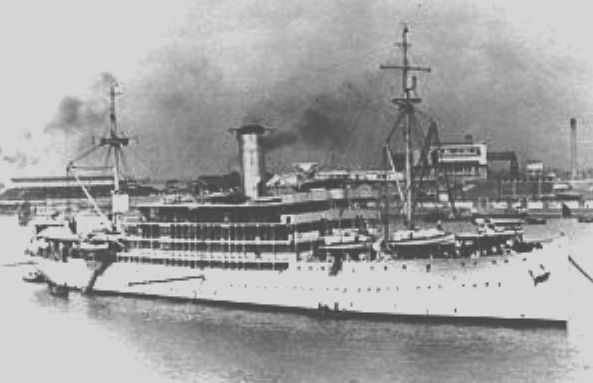 Chinese seaplane tender ZHEN HAI is scuttled in Tsingtao harbor. As Japanese forces approach Tsingtao, looters, panic-stricken Chinese soldiers and gangsters lay waste to Japanese property in the city. Tsingtao's mayor Chinese Admiral Shen Hung-lieh has Chinese looters shot on sight. Numerous corpses accumulate in front of Japanese shops, but as the Chinese start looting and burning indiscriminately, Admiral Shen flees the city along with Tsingtao's Chinese police. The mass flight of Chinese reduces the population of Tsingtao from about 500,000 to about 50,000. Seaplane tender/transport KINUGASA MARU, carrying landing troops, and other unidentified IJN warships depart Lushun for Tsingtao. Tsingtao. Japanese ships crowd the bay. Tsingtao's streets are filled with IJN Special Naval Landing Force (SNLF) marines and IJA soldiers. USS MARBLEHEAD departs Tsingtao for Chefoo. Later that day, British China Station heavy cruiser HMS SUFFOLK also departs for Weihaiwei. British shipping companies curtail or temporarily cancel calls on Tsingtao's outer harbor. 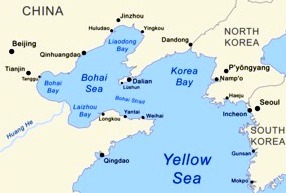 The Japanese land on unfortified beaches about three miles below Tsingtao’s defenses and take Tsingtao without a struggle. No. 5 and 6 Sasebo SNLF troops land at Shatzekow, 18 miles from Tsingtao and march there on foot. Shortly afterward, KINUGASA, SHINSHO and SHINKO MARUs and four unidentified troopships enter Tsingtao’s harbor and begin disembarking additional SNLF troops. Five destroyers lay off shore. The Japanese post patrols and lower white flags, which had been hoisted on public buildings, in a token of surrender. The Japanese permit foreigners to return to their homes. Before the landings, Chinese military forces destroy all Japanese cotton mills in the region. Japanese forces press on to capture the Tsingtao-Tsinan Railroad, while others continue the drive on Suchow. The IJA then begins a major offensive southwards along the Hankow Railway through Shansi (Shanxi). Admiral Yarnell is relieved as CinC, Asiatic Fleet, by Admiral Thomas C. Hart (USNA 1897). The Asiatic Fleet’s submarine force makes its last deployment to Tsingtao. Tsingtao was called Seito by the Japanese. Also known as the Conference on the Limitation of Armaments and the Washington Arms Conference. Admiral McVay's son, Charles B. McVay, III, was commanding officer of USS INDIANAPOLIS (CA-35) sunk on 30 July 1945 by IJN submarine I-58 with the loss of 879 of her crew of 1,196 men; the worst disaster at sea for the USN during World War II.